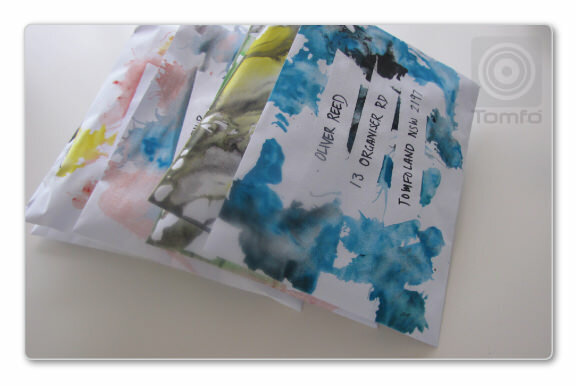 I mixed up some watercolour paints in an old ice cube tray (make the paint quite runny, that’s the trick) for the envelopes, I taped some painters tape (3 rows) on each envelope to make a space for the address before we started painting, then syringed different colours onto the paper. Get your little creatives to start blowing the paint around the paper and watch the artwork come to life. It was great fun, we “blow painted” the envelopes and also lots of other pieces of paper, it was a lovely hour spent in the sun together. I hung them on the clothesline to dry and when they were completely dry I carefully pulled off the tape and addressed the envelopes, then put a little note and each child’s pic in the envelope. I Love how these envelopes turned out, we might make some more to keep on hand for those special cards for birthdays or letters to grandma etc. We did so many blow paintings on plain paper, I have plans for weaving them into something cool next. Will post this one soon. 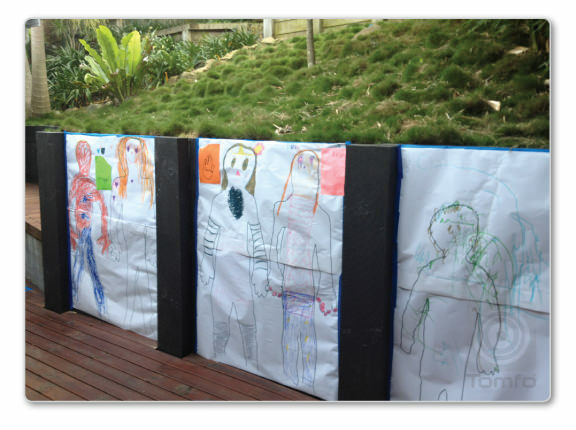 I’d love to hear your ideas, what have you done with your childs art lately? drop me a line.